The brown bag lunch is an American tradition, the first sandwich created in 1762, was a matter of necessity. The Earl of Sandwich, an enthusiastic gambler, requested bread and meat dishes that he could eat while gambling and the sandwich were born. The traditional club sandwich is most often done with turkey, bacon, eggs and loads of mayonnaise, thin slices of roasted turkey topped with crispy bacon and onions over the crusty bread slices. My version of Club Sandwich features the leftovers sitting in the fridge. But it is as delicious as an authentic club sandwich. Like any other household, mornings are a busy affair at my place too. For the breakfast, I prefer dishes that do not require much last minute preparation. If I am planning to make club sandwich for the breakfast then the stuffing is done the previous night and kept in the fridge. With the final assembly and grilling, the delicious, fulfilling club sandwiches are ready for breakfast in no time. 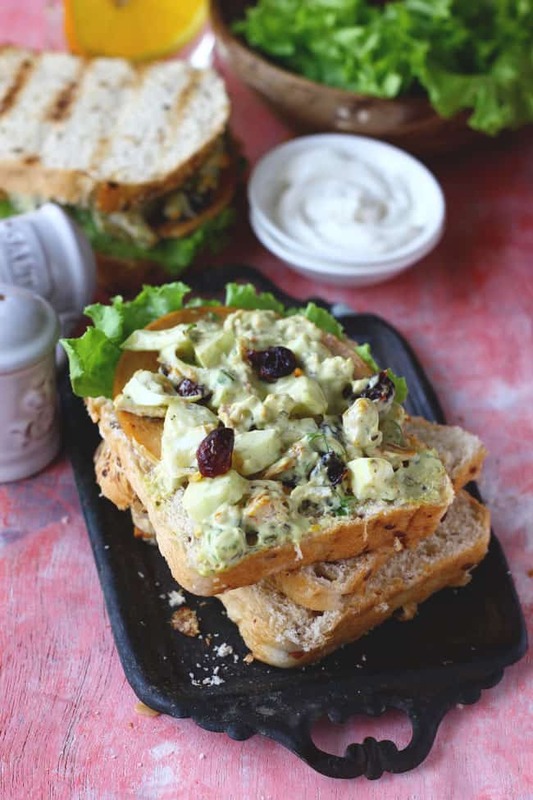 There is no hard and fast rule to use particular condiments in a club sandwich, you can perk up an old standard by adding a tasty new condiment like flavoured mayonnaise, sandwich spreads, chutneys or by serving it on your own home-baked bread. With a glass of breakfast smoothie along with this protein-packed club sandwich, you are energized for the long day ahead. If you are not too keen on adding chicken salami replace it with fried bacon or the thin slices of turkey. Ohh damn, all these filling combinations taste delicious in a club sandwich. 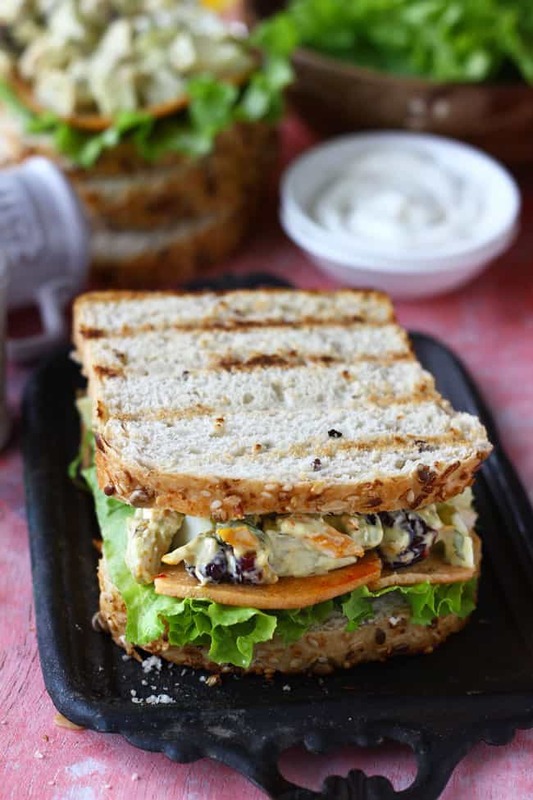 Feel free to use your culinary creative imagination to make the customized club sandwich. 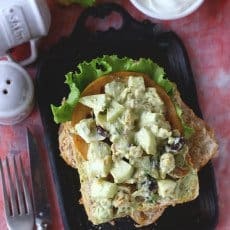 Clun Sandwich is one of the best ways to have a protein loaded breakfast. 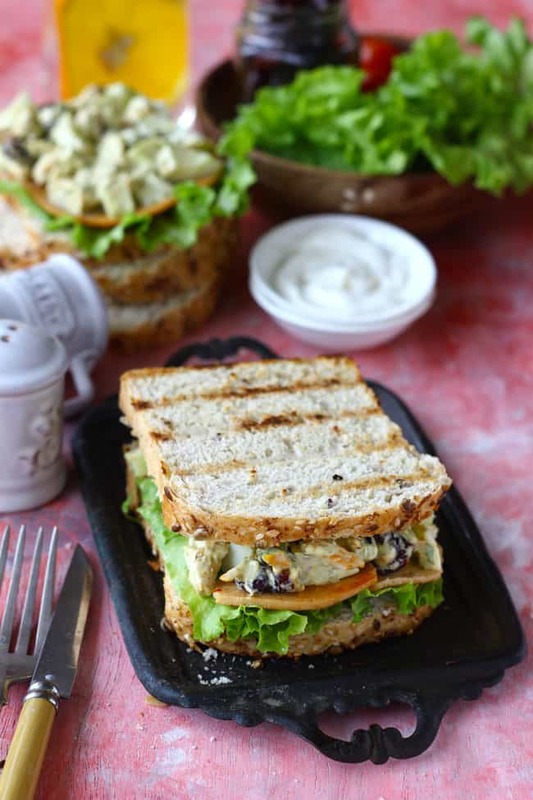 Learn how to make a delicious club sandwich with the leftovers. 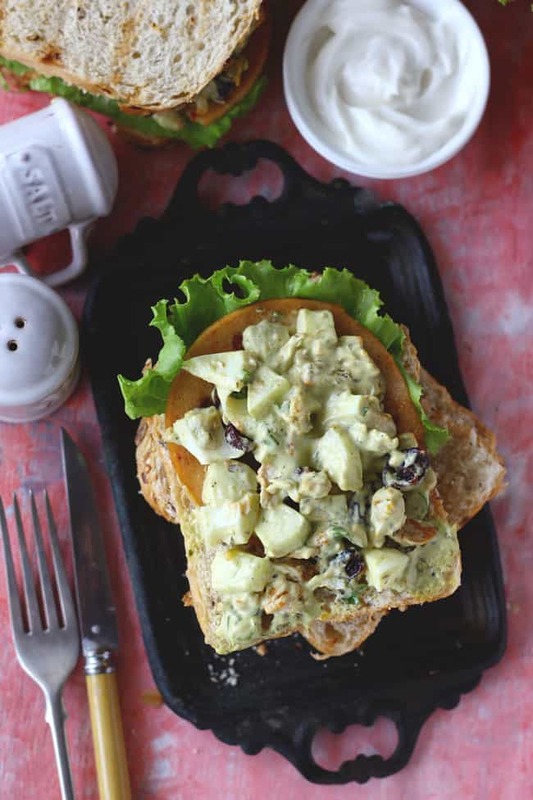 Combine cucumber, boiled egg, chicken, cranberries, mayo, mustard sauce, green chutney, salt and pepper. Mix nicely. Keep in the fridge until required. Grill the chicken salami in the pan until cooked. Transfer to a plate. To assemble the sandwich, place a lettuce leaf on the bread slice. Arrange one chicken salami over the lettuce leaf. Spread a tablespoon or two of egg stuffing over the chicken salami. Cover the sandwich with the remaining bread slice. Grill the sandwich in a sandwich maker or a grill pan ( buy it here ). Using a serrated knife cut sandwich into 4 square pieces. Serve the Club Sandwich with the tomato ketchup for breakfast or snacks. 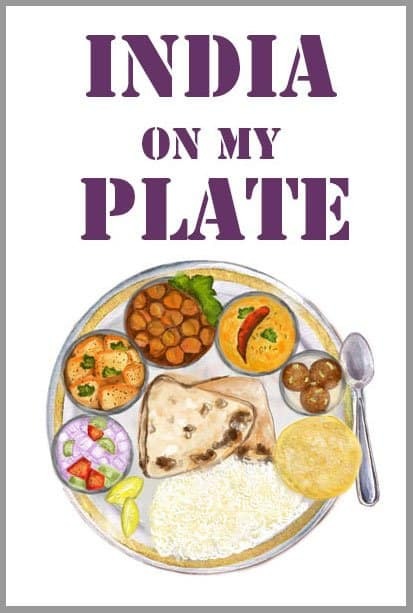 Marvelous pics and engaging recipe. M not able to keep up the pace with you Hina 🙂 in terms of experimenting all these recipes. Excellent post! Looks like I have a new lunch staple to add to the rotation. 🙂 This looks SO darn good– cannot wait to try! Thank you so much. I am so happy that you liked the recipe.